The January transfer window is fast becoming the down tools window in the Premier League as players are suddenly left out of their respective teams when they have all but downed tools. Southampton came to Burnley on Saturday without the services of Portuguese defender José Fonte. He wants a move and it appears while that is the situation he won’t be playing any football for them. That seems to be a club decision but Fonte handed in a transfer request during the first week in January and he hasn’t kicked a ball for them in the last two weeks when they have played three games. This weekend Chelsea felt they needed to leave out Diego Costa. Antonio Conte suggested he was injured but it all seems to have blown up following a supposed big £30 million a year offer from China. It’s similar, probably even worse, over at West Ham where Dimitri Payet really has downed tools. To be honest, given the way he played against us, I thought he already had, but the situation between player and club has now reached a point of no return I would suggest. West Ham initially said he was going nowhere, if necessary they were prepared to make him sit out his contract, but players tend to win in this situation and the West Ham fans let the owners know their feeling over the weekend. Both players have held their club to ransom basically, showing no regard whatsoever for their contracts. I did laugh a couple of days ago when a read a tweet reporting that £120,000 per week Payet had refused to play and left West Ham’s training ground in his £200,000 car. Sean Dyche was asked about it last week and said he was thankful he’d never been in that position, but we do know that Jason Shackell was, shall we say, reluctant to play in our pre-season games in 2015 as he engineered his move back to Derby. We were also not sure whether Robbie Blake would be able to play against Preston in December 2004 as he looked to push through a move to Wigan. As it happens, he did play and scored two superb goals in a 2-0 win. Players will win these battles and in the end it is no use keeping an unhappy player. There will always be other clubs looking to take them. Fonte has been linked with both Merseyside clubs although Liverpool have denied any interest; Payet, at this moment, looked destined to a return to France with Marseille. That’s the bad, but what about the good. 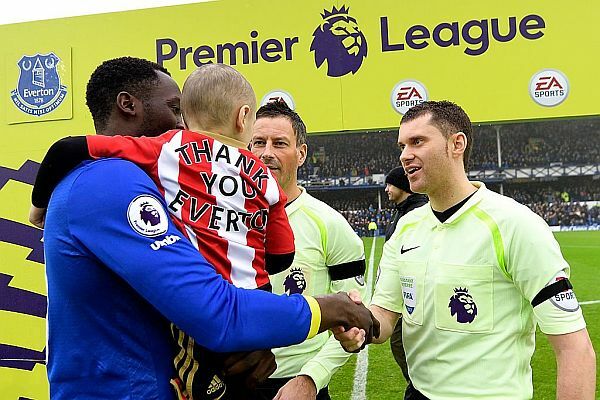 That was surely at Goodison Park yesterday when Everton invited Bradley Lowery, the 5-year-old Sunderland supporter who has terminal cancer, to their game against Manchester City. This is a club who have already donated £200,000 to a fund to get treatment for the youngster whose parents have since been told the cancer is terminal. 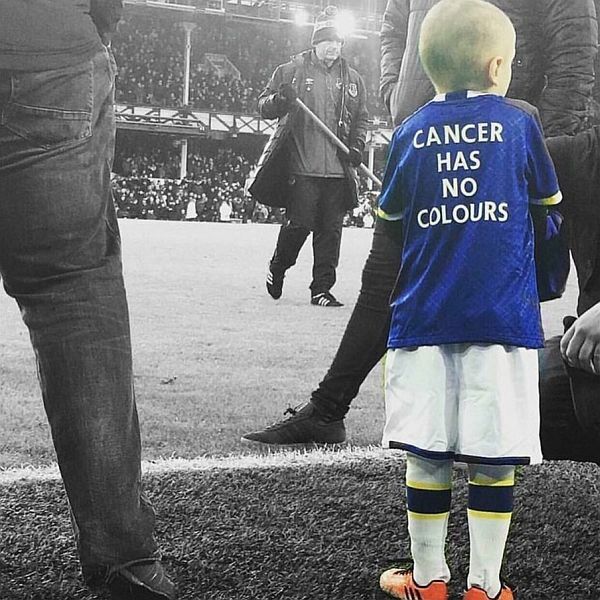 What a gesture from Everton. “It’s a grand old team play for,” can be heard at the end of every home game. They look a grand old team off the field too when they can do something like this. They gave this little boy and his family another fantastic day yesterday and well done to them. Everton got their prize, a thumping 4-0 win against Manchester City that left Pep Guardiola looking even more miserable than he’d looked after our game at the Etihad, and on the subject of miserable managers, there was Jose Mourinho having his latest squabble, this time with Jurgen Klopp. That was before United equalised with an offside goal. So that’s Guardiola moaning, Mourinho moaning, we know Claude Puel has been at it and I’m damn sure the miserable Aitor Karanka will have joined in. I remember Steve Cotterill saying on one occasion, when we’d got right up in to the top in the Championship, that he’d frozen teletext. Right now I keep looking at the Premier League table. Finally, in today’s review of the Premier League, I’ve opted not to use photographs of money grabbing players such as Payet, but of the little boy who has captured all our hearts. Bradley is starting treatment today that it is hoped will give him some more time with his family and friends. I wish him, and them, all they would wish themselves. If you want to check the leading goalscorers in the Premier League, the yellow and red card counts of each club or their average attendances – it’s all at Goalscorers-Discipline-Attendances which can be found in Season Stats on the top menu.